With so many smaller and bigger changes happening in Google's core ranking algorithm, webmasters are really confused as to which tactics will work right now? Google very recently had the Panda and Penguin algorithm updates that changed the way webmasters promoted their site. Here are the top 3 seo tactics which you can implement right now to get the maximum benefit. Rel="author" - An Important Ranking Signal for Google? Update and remove stale information from your site. Remove unnecessary keywords present on the pages. Make the content more user friendly. Remove all the duplicate content. Add images and videos wherever necessary. Track the loading time of your site and reduce it. Add internal links wherever necessary. Avoid exact match anchor text links. You will be amazed to see the power Google Plus ones can give you. Increase the amount of Google Plus ones for your site and see the difference in ranking yourself. But, make sure to follow genuine and legitimate strategies to increase the social shares and do not buy them. URL redirection means that a single web page content is made available under different url's. Having a complete knowledge of URL redirection is necessary for webmasters and search engine optimizers. This post will provide an idea about the type of URL redirections available and their uses. 301 redirect is a permanent redirect and is used when any URL gets changed and moved to a separate location. For example www.example.com is moved to www.example2.com then 301 redirect will help the users to visit www.example2.com even if they open www.example.com. 301 redirects helps in proper passing of the link juice without seriously affecting the search engine positioning of the website. 302 redirect is a temporary redirect when a web page gets available at a different location for some time but the permanent location remains the same. This type of redirect does not passes link juice and trust to the new but temporary url. 303 redirects are "see other" redirects. It tells the search engines that the requested resource exists on a different url. This type of redirect does not passes the link value and should be avoided. 304 redirects tells the search engines that the requested resource is not modified. Hence these are known as "Not Modified" redirects. 305 redirects tells the agents to locate the resource using a proxy. The location field must be specified that contains the URL of the proxy. 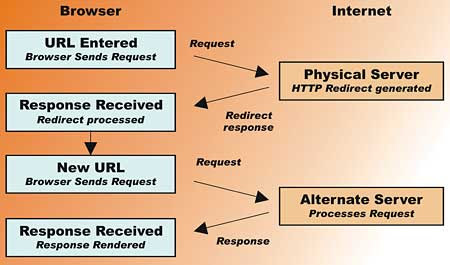 307 redirects are temporary in nature and are mostly used by web developers. The meta refresh redirects the users to a new page after an interval of predefined refresh time. Meta refresh is not treated well in the eyes of search engines as some of the webmasters use this redirect for cloaking purpose which violates the search engine guidelines. When some other page content is forcefully displayed within an iframe so that it looks that it is present on the original URL, then these type of redirects is known as "Iframe redirects". Most of the search engines considers this as a form of cloaking as may penalize a website. How to Check Which Redirect is Applied on a Website? Mistakes to Avoid Using Rel="Canonical"
Many times it happens that the webmasters completely ignore the seo issues as suggested by a competent search engine optimizer. These issues may affect a site badly resulting in partial or complete loss of traffic if not taken seriously. Are You Taking these SEO Issues Seriously? Sometimes a secret folder may get crawled by search engine bots and information that needed to be refrained from general public gets cached and displayed in the search results. It may also happen that a high traffic yielding folder may accidently get disallowed due to incorrect directions specified in the robots.txt. Hence, robots.txt is an important file and its issues needs to be resolved with immediate basis. Many of the older websites are still using a spammy way of displaying links on their website. These links have been put in order to gain the attention of the search engines and not the user. All these links (mostly with similar anchor text and in areas not necessay like too many footer links or sitewide links) needs to be removed. Links that count high from a user point of view should be given more preference instead of links aimed at gaining high search engine positions. Remember Penguin is roaming and it might catch you! Content has always taken the most important place in search engine optimization. If your website is having low quality content that is written for the search engines solely for the purpose of ranking higher, then the time has come to either remove it or rewrite it. Create content for the users and give more time on the presentation. If people start spending more time on your site due to the high quality content present on it then it a great ranking signal for Google. Also See:- What is Good Content? Lower Quality Backlink Profile Asking for Trouble? the domain. This was done by the EMD update. If your business still targets several locations with a bunch of low quality exact match domains, then drop this idea immediately. The best way would be to promote a single site instead of promoting several different sites as per every location. identity. 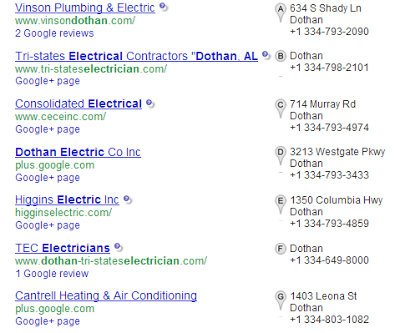 Google authorship is a great way for Google to reduce web spam. if you have not implemented Google Authorship even today, then do it as early as possible. The sooner you do it, the better it is for your site. Conversion Tracking - How to Increase Conversions in Adwords? You may have set up your Google Adwords campaign and have started receiving the most awaited traffic but alas! where are the conversions? Getting successful conversions from your ads running in Google requires you to implement some tips and tricks. Before we move on to discuss the secrets of getting a good conversion rate, let us discuss what are conversions? A conversion happens when someone performs a specific task that is valuable to your business after clicking on your ad. This can be sale of a product, registration of an event, subscribing a newsletter etc. These successful events can be tracked in Google Analytics and is termed as "Conversions". 1 per Click - This type of conversion happens when a single conversion takes place with an ad within a span of 30 days. Only one conversion per person is counted even if a single person makes multiple conversions after clicking on an ad. Unique conversions utilized this method. Many Per Click - This type of conversion happens when multiple conversions takes place with an ad. Multiple conversions per person happens with this type of conversion. Before you start the actual optimization of the Adwords campaign, make sure you have started the conversion tracking process. This will help you to show how many conversions you are getting for your business. How to Set Up Conversion Tracking? Have a look at this useful video sharing the benefits of conversion tracking. Many webmasters and marketers have witnessed an increase in CTR after they have used exclamation marks in their ad title or description. Make sure to use specific keywords like those which can increase the chances of conversions. For example if your store sells "Black Forest Cake" then instead of targeting keywords like "Cake" in your campaign, be more specific and target "Black Forest Cake". Having an increased ad quality score will decrease your cost per click and directly increase your visibility. This will help your site get maximum conversions. More help on how to increase Adwords quality score? 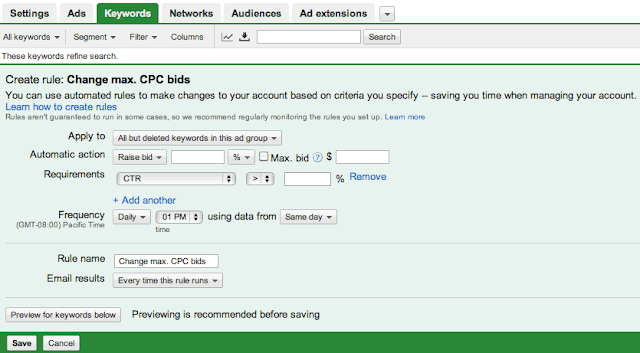 Create city wise campaigns after analyzing the data as to which city is providing the maximum conversions by looking at the adwords dashboard. Instead of opting for broad phrases, go with exact match phrases. This will increase the relevancy of your ad and get more interested people visit the landing page instead of time pass people. Google by default, displays all your ad across all their content network sites. This accounts for a large percentage of sites and most of the clicks comes from people clicking on ads displayed on this vast content network. You can customize this content network and restrict your ad to get displayed in some specific sites only depending on the nature of your business. You may schedule your ads to get displayed at a particular time. This would be the best option if you want to target customers at a particular time of the day or night. First analyze the time when maximum conversions happen and then adjust your campaigns accordingly. You may apply various type of filters like determining which campaigns are delivering the best results, which campaigns are providing the maximum invalid clicks, ad groups that have not generated any impressions etc. 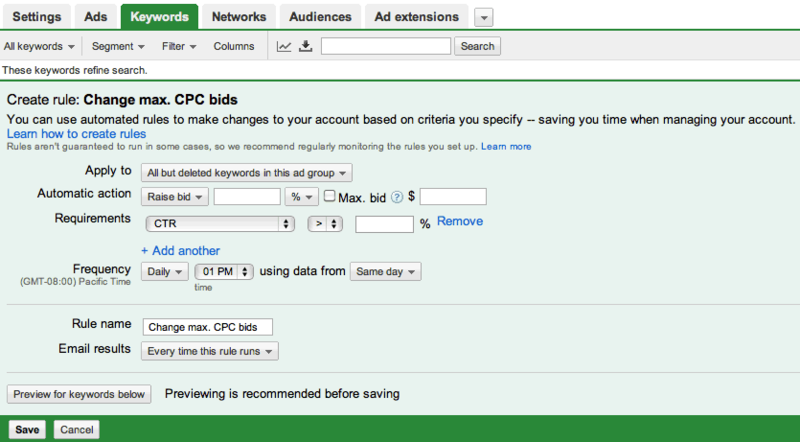 Apply automated rules on your specific ad campaigns based on several criteria like changing the budget on peak shopping days, modifying bids based on CTR etc. Google has recently shared a blog post answering all queries related to backlinks and reconsideration requests. This will clear most of the unanswered queries of the webmasters affected by the Penguin updates who were waiting for an official response. Here is a summary of what was answered along with further guidance on how to proceed? 1- When Should You File a Reconsideration Request? A reconsideration request should be filed only after you have received a manual penalty notification in the Webmasters tools. You can file a reconsideration request from the Google Webmasters console. You must file a request only after you clean up your site or backlink profile which were going against Google Webmasters guidelines. The request should not be filed in case of an algorithmic update. Here is more help - How to write a reconsideration request? 2- How to Check the Quality of Backlinks Pointing to Your Site? You may check all the backlinks pointing to your website using the Google Webmaster tools. After logging in, move to Traffic -> Links to your site and you will see all the links that Google has discovered until now. You can get an idea of the sort of links being generated for your website. Make sure there are no unnatural links pointing to your website. 3- How to Clean up Your Link Profile? Cleaning up your link profile requires time and patience. 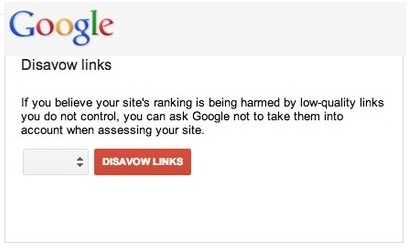 A proper analysis of site backlinks is required followed by link removal by sending requests to webmasters and using the disavow tool as the last resort. Low Quality Link Profile Asking for Sure Trouble? 4- What is the Time Taken to Process Reconsideration Requests? There is no specific time given by Google in this regard. However, most of the requests are processed in a few days. More help can be found here:- Google Webmasters Forum and Google Help Articles. Being active on social media networks is required for a brand to gain exposure and feedback from their potential and existing customers. Knowing the best time to post on social media sites like Facebook, Twitter, Linkedin, Google Plus and Pinterest can give your shared story a real boost in visibility with an increased travel time and overall life. It is interesting to note that every shared story on social media sites has its own life and travel capacity. If a story receives maximium shares on several profile then it will having a greater travel capacity and enhanced visibility. On the other hand, if the story receives maximum comments then it will have a greater life as people stay in touch with the story and make it more visible. It's not about links anymore. Google has recently updated their help document on how they rank websites and replaced the words "increasing the number of high quality sites that link to their pages" to "creating high quality sites that users will want to use and share". This indirectly indicates the declining importance of links and increasing importance of social shares especially Google Plus Ones. This news was published on seroundtable. 3- Create a local Google Plus page and encourage customers to like your brand. Encouraging does not means buying shares. Don't do that. Many of the bloggers consider the task of bringing the Facebook on the blog a tedious task. But with the advent of the Facebook Connect plugin, one can easily bring the Facebook to the blog. With FB Connect, one can integrate the blog with Facebook directly. To explain the social locker WordPress plugin, one should imagine a bunch of powerful social buttons with a locker placed in a bottle. Through this plugin the user is provided with the option to lock a particular content on the web page, which can be opened only once the user clicks on any of the social buttons such as Tweet button, FB button, Google+ button etc. This way one can gain more likes, traffic and tweets. 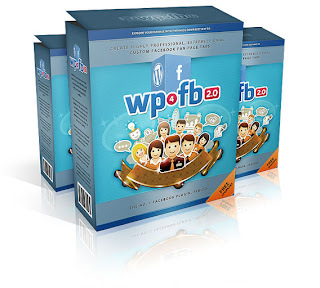 This is one of the coolest of the WordPress FB plugin which aids in making as well as maintaining the FB pages by taking the help of WordPress. This plugin can also aid in controlling the manner in which the content will be viewed by the visitors and even what content will be visible. The Easy Social Hover plugin allows the users to create more powerful and engaging images by adding the multiple hover effects with the help of the Social Networking Sgaring button present in it. This way the image can be shared with a great style and flair through the FB share, Pinterest, Twitter, LinkedIn etc. With this plugin, the users gain a real and fun way to show their FB photos on the blog without any hassle. This plugin saves the users from the fuss which one usually face when uploading the images or the pictures. The Facebook Walleria is an amazing WordPress plugin through which the users can embed a large number of FB objects to the website. The Facebook graph is used to pull the information in relation to the Albums, Feed, Photos, and Comments in a great style. Facebook recently announced in their blog the support of hashtags. This was an important feature that was missing from Facebook but thanks, now the user can use the hashtag functionality in the similar manner as they use on Twitter, Pinterest, Stumbleupon, Google Plus etc. 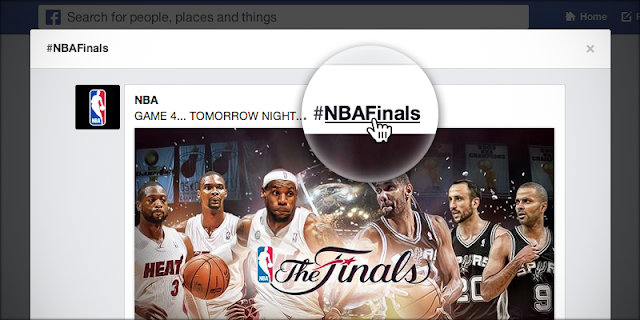 "Starting today, hashtags will be clickable on Facebook. Similar to other services like Instagram, Twitter, Tumblr, or Pinterest, hashtags on Facebook allow you to add context to a post or indicate that it is part of a larger discussion. " As far as online content development jargons go, search engine optimization (SEO) and pay per click (PPC) play a huge role in internet marketing tactics. As an introduction to the uninitiated, a search engine uses algorithmic calculations to decide the ranking of a certain website or webpage on the search list. It is an unpaid or organic process which can be affected by using both SEO and PPC. Considering how search engines work, the actual search terms or keywords are typed into a search engine preferred by a target audience. SEO affects the visibility of a website by editing the contents of a website. It can be used to change the HTML and associated coding of a webpage to increase its relevance to specific keywords entered by a user in the search engine. It also works by inserting backlinks, or inbound links, to the website in other web pages. PPC, on the other hand, is when a client pays a certain amount of money to a search engine to increase the visibility of a website. Advertisers pay the search engine a certain amount of money when people click on ads which direct the traffic to the webpage of the advertiser. An advertisement, or banner ads, is a common way of displaying an advertiser’s website. These are also called sponsored links or sponsored ads, which appears when the user enters a certain keyword. The obvious difference between the two is that while the traffic generated by SEO is free, the traffic coming from PPC is paid. But making a choice between the two involves a number of different factors: the target of the website, whether the website is promoting a product or a service, the reputation of the search engine and finally the cost of promoting a website. PPC involves spending a certain amount of money every time someone clicks on a link and the expenses might run into a four figure amount or more. 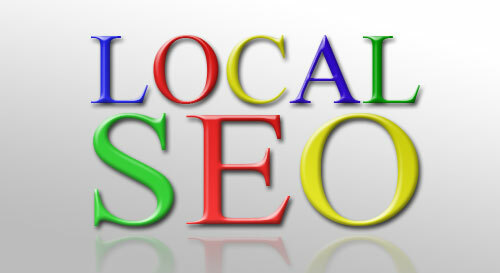 SEO, on the other hand, is free and traffic can be generated by the content of a website. But being free does not guarantee results. It takes a lot of time to get a high ranking from a search engine, whereas paying for a sponsored link might generate traffic faster. But even that is no guarantee. The choice depends on the size of the advertising budget. The daily spending limit can be set to a minimum of $5 to $10 a day or even $100 a day, depending on the budget. But SEO is also a practical choice since it can generate 5 clicks or 50,000 and while costing nothing. SEO is a good approach to promote a website on a shoestring budget. But if a little capital is available, PPC is a good recommendation. In case of competitive industries, results pages with certain target keywords are dominated by authority websites, which are nearly impossible to displace. In such cases, paying for traffic via PPC appears to be most sensible. 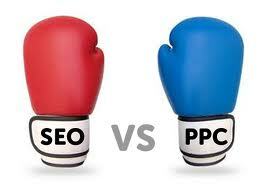 But an even more powerful tool is to combine PPC and SEO. New Google update targeted to wipe out spam in niches like payday loans has started. This update would be spread over months rather than days, so you cannot expect to see all the updated changes soon. The real change would get reflected in 1-2 months. So, stay tuned for that. New Google Update or is it all Screwed? Custom variable in Google Analytics allows you to define and track custom user interactions other than those already provided. Custom variables allows you to track the user activity in your site as per your own needs. How to Set Up a Custom Variable? Name - The name of the variable is defined here. Value - The value of the variable is defined here. Opt_Scope - Page level, session level or visitor level interactions can be defined here. Suppose, I am the owner of an ecommerce website and I want to track the number of visitors who are interested in viewing the "Electronics" section of my website. I will set up a custom variable to track this interaction using Google Analytics. 1,                   // Custom variable is set to slot #1. Required parameter. 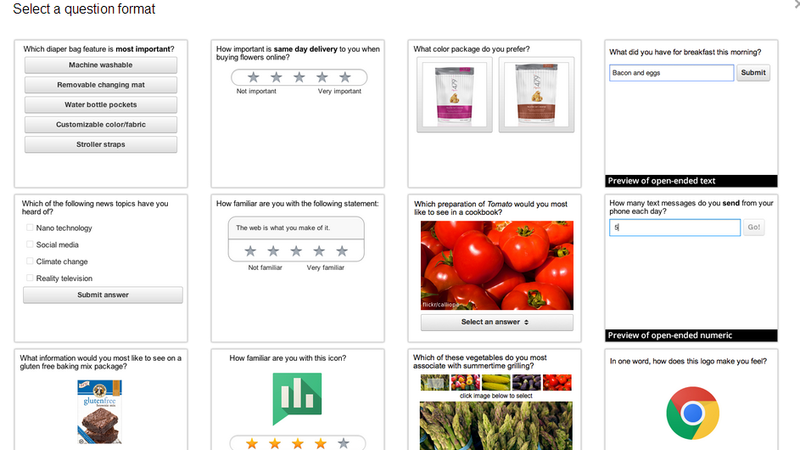 'Category',       // Name for your Ecommerce store content categories. Required parameter. 'Electronics',           // Sets the value of "Category" to "Electronics". Required parameter. 3                    // Sets the scope to page-level. Optional paramete. Author Rank can be said as the new Page Rank for Google as the search engine giant has started to put a lot of emphasis on authorship. With the motto of moving from "strings to things", Google has started to rate web pages based on the author profile and author rank, hence having a solid author rank would help your web pages to rank higher up on the search results. What is Author Rank and How is it Calculated? Author Rank a.k.a Agent Rank is a metric that is assigned to every author based on the contributions, social popularity, industry popularity, social circles, number of plus ones the content receives, the quality of the content, the number of quality backlinks or mentions the content receives etc. This metric is huge and takes into account many individual factors. The time has come for Google to analyze and rate web pages based on the author rank of the contributor and in future too, growth in this area is certain. Why is Author Rank Important and How ? Author Rank is extremely important if you want your web pages to rank higher on Google. Implementing Google Authorship is necessary as it helps Google to "stop web spam for free". After you have implemented Author Rank in your website, your next step would be to increase the value as well as relevance of your Author profile. Author Rank gives you the power to rank for your own site as well as on other website based on the power of content written by you as your profile adds up to the power and makes the web pages rank higher up. UPDATE: Google NO Longer Supports Authorship. Hence, you can take it in this manner- if you are able to get many high Author Rank authors to write for your website then you have the best possible options for getting your web pages ranked highly. This is straightforward, take it or leave it. Page Rank is still important as it judges the web page on popularity basis. Hence, I am not saying that Page Rank is not important and you must make every effort to increase your website's Page Rank. But, the thing is, Author Rank has emerged as one of the most useful metrics ever. Google is slowly moving from Page Rank to Author Rank and there are many facts that support this fact. Web content that are written by reputed authors are already ranking higher on Google. Sites having less Page Rank but having content written by highly popular authors are ranking higher, just for the sole fact that this signal related to the real world and helps Google to correctly evaluate the content present on a web page without worrying too much about web spam. Looking for an internship opportunity in Google or Facebook? Well, the path is tough and a few smarter ones are able to make it. The infographic shown below provides an excellent choice to decide whether you must choose search engine giant Google or social media giant Facebook for an internship! Yahoo search engine has got a design that matches the theme of Yahoo home page. This new and modern design has been introduced in the web search US. This new design puts the search results up and centre. Yahoo has also improved it's speed and this design is much faster than the previous one. This was announced in the yahoo blog. I was really impressed by the page speed. The search results are displayed higher up and the various menus have been put above the query box.